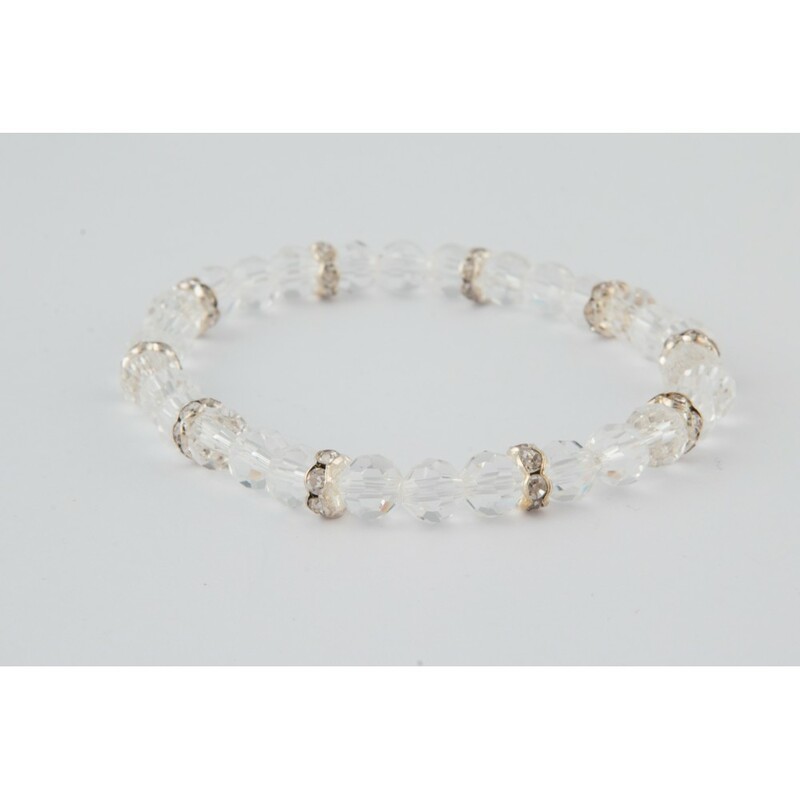 This Bracelet has small clear crystal beads and alternating diamante bracelet. 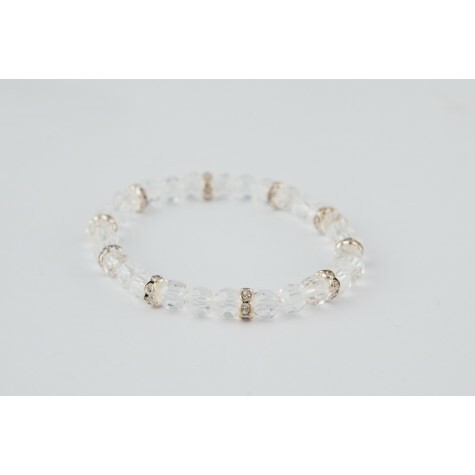 The bracelet has a elastic base and can fit a wrist up to 20cm. 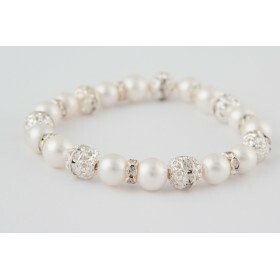 Simple and gorgeous this bracelet adds some glamour to your big day.